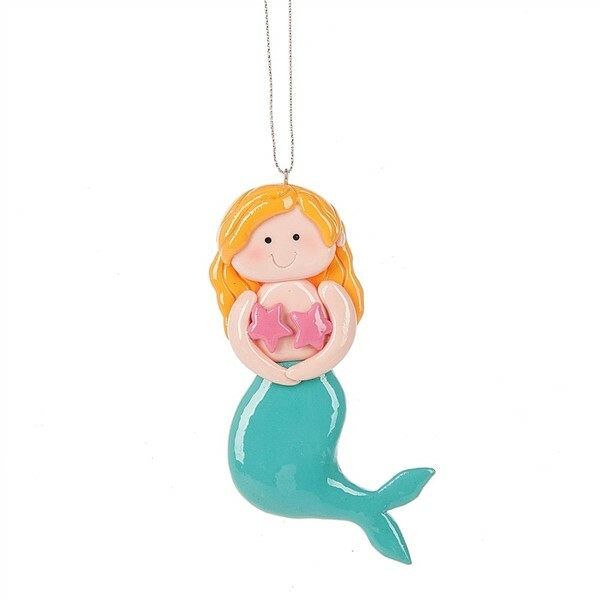 What girl (of all ages) doesn't love mermaids? This one is the perfect one for your girl. Great for beach themed rooms and Christmas tress. She is made of poly dough and is approx 3.5" x 5" x .50". Her bright colors and sweet smile will delight!